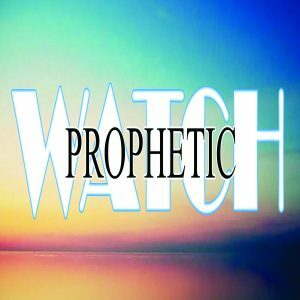 Prophetic watch is a platform for declaring prophetic words, messages, visions, revelations, instructions, divine directions and warnings from the LORD concerning individuals, nations, religious and government leaders around the World. God has raised us as a company of watchmen and prophetic voice unto men, families, nations and government at all levels in all nations of the world. As heaven’s high commissioners, we are poised to discharge our ambassadorial obligations to all and sundry (Jeremiah 1:4-5; Psalms 68:11; Hosea 8:1; Micah 3:8; Isaiah 62:1&8; 2nd Corinthians 5:18-20). 1. Watching over the nations and souls of men for the LORD. 2. Setting divine Agenda for the nations and all peoples in different parts of the World by the word of the LORD. 3. Standing in the gap before the LORD for the nations, government at all levels, families and individuals. 4. Keeping all the redeemed of the LORD spiritually alive in Gods eternal purpose. 5. Amplifying the voice of God, making it louder and distinct in a noisy world. 6. Using the word of God as a weapon for the destruction, annihilation and dismantling of Satan’s installations and strongholds in the world of the ungodly. 7. Enforcing the will of God in the dark places of the Earth. 8. Enthroning the righteousness and authority of Gods kingdom over the nations of the world. 9. Declaring visions and revelations concerning nations and individuals. 10. Sounding alarms about impending dooms. 11. Keeping documentaries of prophecies, visions and revelations concerning individuals, nations, government leaders and religious leaders. Similarly, records of Gods warnings, instructions and divine directions to them shall be kept. 12. Documentation of testimonies, occurrences and events for posterity. 13. Networking with people of same mind, vision and pursuit in all the nations These and more are our objectives and mandate on prophetic watch Join the chariot!